“Take only memories, leave only footprints”. 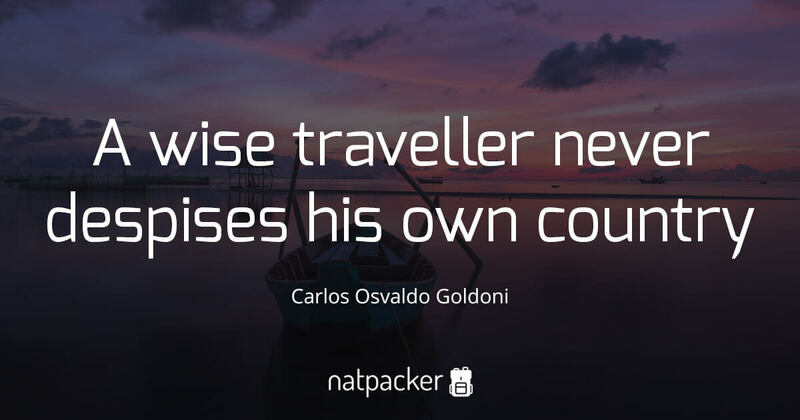 This is a travel quote that I often come across, albeit in a different form. It has a modern version of “Take only pictures, leave only footprints”. I’m not sure when or where the change came about, but I heard it from a number of tour guides in Australia and New Zealand. The quote comes from a Native american chief, Chief Seattle. He is a famous 19th century Native American who came from the Duwamish Tribe. He was such an important figure that the city of Seattle is named after him. He was a highly respected leader and an ecologist. Chief Seattle pursued the path of mutual respect and cooperation between the Natives and European settlers. A famous speech about about ecological responsibility and the Native’s land rights is attributed to him, although the original is lost and changed through translation and rewriting. As I have mentioned, I have heard this quote with one small change, substituting the word ‘memories’ with ‘pictures’. Although I am not sure Chief Seattle would be happy with this change as many Native Americans have the belief that taking a picture of someone steals a part of the soul. I find this change acceptable. This quote, either old or new, is saying to leave no trace. If everyone takes a single pebble of a beach, it will not take long for that beach to disappear. If everyone left rubbish on the top of a hill, soon the hill will be much bigger. It is important that we leave as little trace as possible. We are human and can’t help but leave some trace and disturb something, but we can minimise our damage. 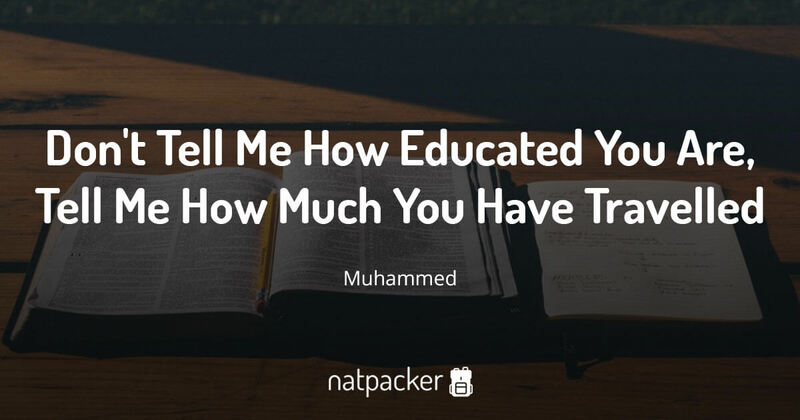 I don’t just abide this quote when travelling, it has become an important part of my life. I will not even drop decomposable litter, I will take it home to be put in my compost bin. This quote pretty much is my mindframe and way of life. It is by far my favourite travel quote and the way I believe we should all love our lives! It’s very wise of you to make these observations about traveling with respect to the local environment. 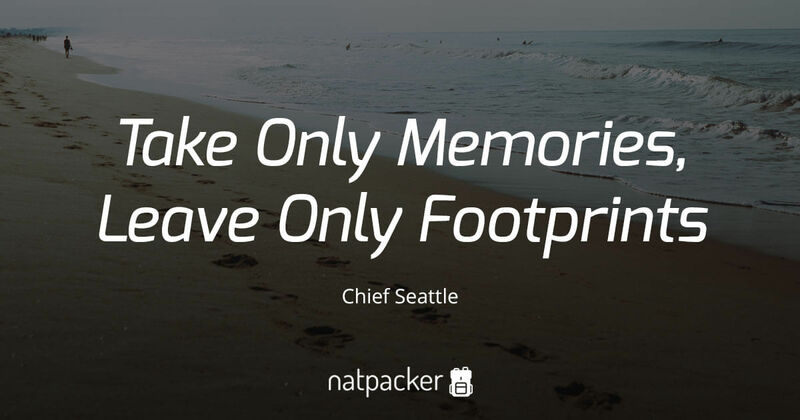 Leaving footprints and relying on memories is a more fulfilling way to travel! Angels why do they fly? Its because they travel lightly. Not disturbing but beautifying their paths and the places they visit. People are to be loved, so is our univers! That is very interesting. I think I will be researching this more. Though I do like the idea of it being Chief Seattle who said it, seems to fit perfectly!